TMS have approved the David Robertson Smelting Symposium to be held in conjunction with the 2014 TMS Annual Meeting in San Diego, California, USA. This event celebrates the pyrometallurgical work of Professor David Robertson of the Missouri University of Science and Technology. The full title of the event is "Celebrating the Mega-scale: An Extraction and Processing Division Process Metallurgy Symposium in honor of David G.C. Robertson". At a time when maintaining metals production is increasingly important to modern society, producers face the challenge of remaining profitable within an unpredictable global economy, while minimizing environmental impact and energy consumption. Economies of scale are becoming increasingly important in this setting, leading to larger and larger plants - some reaching the mega-scale - and requiring the support of highly skilled professionals. Professor David G.C. Robertson has devoted his career to the education of highly skilled metallurgical professionals and to the engineering of all types and sizes of metallurgical processes, particularly those involving molten metals. 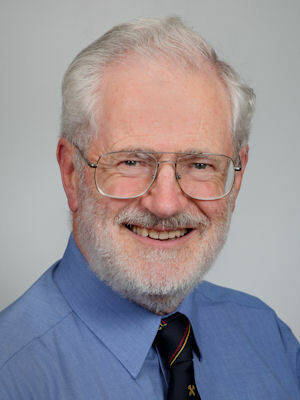 David's research has focused on transport phenomena of smelting, refining, and solidification processes, particularly mass transfer, kinetics, and fluid dynamics. He has made major contributions in the areas of metal-slag-gas reactions, gas injection into melts, gas-jet atomization of liquid metals, ferro-alloy production, and the development of continuous steelmaking, among many others. During the course of this research, he has supervised the work of 26 PhD and 14 MS candidates, who now work around the world and in numerous environments: academia, industrial research, and corporate management. The symposium will feature presentations on the application of engineering principles to metallurgical and materials processing, focusing in particular on metals production and recycling. A social event will be held during one of the evenings of the conference. This will probably take the form of a Symposium Dinner Cruise in San Diego Bay on the evening of Monday 17 February. All accepted papers will be published in the conference proceedings. Selected papers may be published in JOM. Prospective authors are invited to submit titles and abstracts of their papers, in English. The abstracts should be submitted via the ProgramMaster system on the TMS website by the end of June 2013. Further information regarding registration and accommodation will be available on the TMS website in due course. Correspondence may be sent to the organising committee at DGCR@pyrometallurgy.co.za. This conference is organised by TMS, and is sponsored by the Pyrometallurgy Committee and the Process Technology and Modeling Committee of the Extraction and Processing Division of TMS.